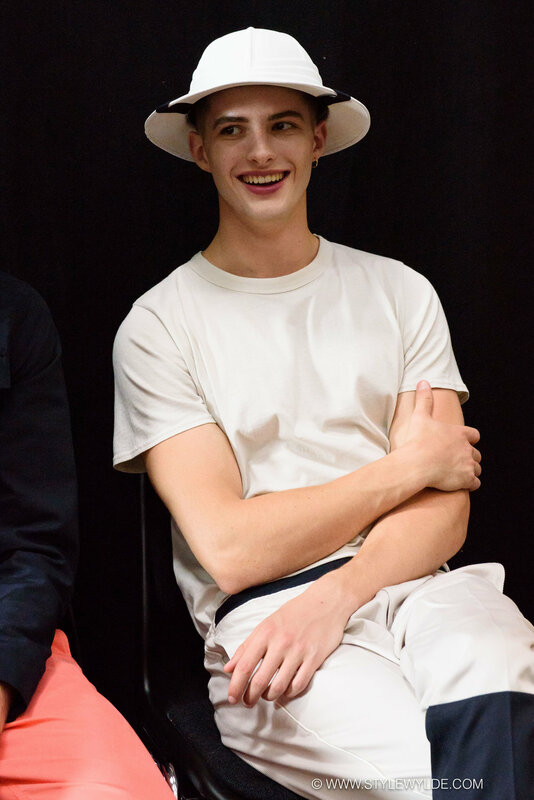 was the inspiration behind the Uniforms for the Dedicated Spring 2018 menswear show, which debuted Thursday during Copenhagen Fashion Week. Backstage before the show, we got a sneak peek at the Berlin meets Miami make-up and hair look for the show came together. Click on any image below to launch light box mode for best viewing. All images: Cynthia Anderson for Style Wylde. For a look at the complete collection choul out our feature in Runway.